Your cultural itinerary includes sights like Defence of Darwin Experience and Museum & Art Gallery of the Northern Territory. Family-friendly places like Nature & Wildlife Tours and Fishing Charters & Tours will thrill your kids. Next up on the itinerary: kick back and relax at Mindil Beach, learn about all things military at Darwin Aviation Museum, identify plant and animal life at Crocosaurus Cove, and steep yourself in history at Star Village. 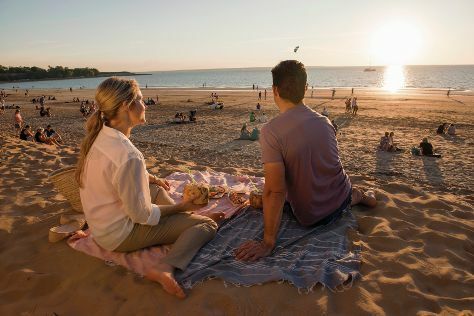 To see reviews, where to stay, more things to do, and other tourist information, go to the Darwin trip itinerary website . Sydney to Darwin is an approximately 6.5-hour flight. You can also drive; or take a bus. Plan for somewhat warmer temperatures traveling from Sydney in April, with highs in Darwin at 38°C and lows at 28°C. Finish your sightseeing early on the 24th (Wed) so you can travel to Batchelor. Get a sense of the local culture at Adelaide River War Cemetery and Batchelor Museum. Step out of the city life by going to Litchfield National Park and Florence Falls. 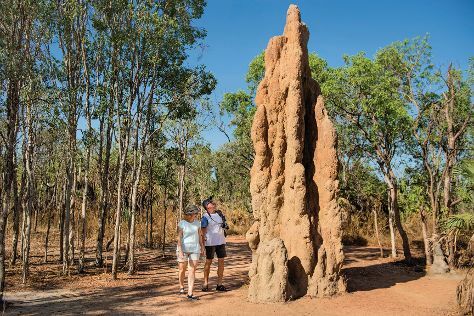 Explore the numerous day-trip ideas around Batchelor: Litchfield National Park (Magnetic Termite Mounds, Buley Rockhole, & more). To see photos, traveler tips, and tourist information, refer to the Batchelor online driving holiday planner . Traveling by car from Darwin to Batchelor takes 1.5 hours. April in Batchelor sees daily highs of 38°C and lows of 28°C at night. Wrap up your sightseeing by early afternoon on the 28th (Sun) to allow time for travel back home.